For the 19th-century author, see Stendhal. Krister Stendahl (21 April 1921 – 15 April 2008) was a Swedish theologian and New Testament scholar,  and Church of Sweden Bishop of Stockholm. He also served as professor and professor emeritus at Harvard Divinity School. 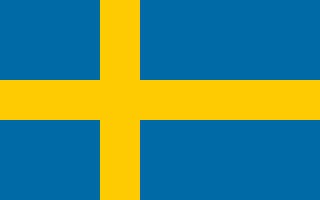 The Church of Sweden is an Evangelical Lutheran national church in Sweden. A former state church, headquartered in Uppsala, with 6.0 million baptised members at year end 2017 it is the largest Christian denomination in Sweden. The Diocese of Stockholm is a division of the Church of Sweden. Its cathedral is Storkyrkan in Stockholm's Old Town. The diocese covers most of metropolitan Stockholm and was formed in 1942 from parts of the medieval dioceses of Strängnäs and Uppsala, both pre-dating the foundation of Stockholm. Before 1942, the City of Stockholm itself and Greater Stockholm were divided more or less equally between the two medieval dioceses at Slussen just south of Stockholm's Old Town. Stendahl received his doctorate in New Testament studies from Uppsala University with his dissertation The school of St. Matthew and its use of the Old Testament (1954). He was later Professor at the Divinity School at Harvard University, where he also served as dean, before being elected Bishop of Stockholm in 1984. Stendahl was the second director of the Center for Religious Pluralism at the Shalom Hartman Institute in Jerusalem. After retiring in 1989, he returned to the United States, and was Mellon Professor of Divinity Emeritus at the Harvard Divinity School. He also taught at Brandeis University. Bishop Stendahl was an honorary fellow of the Graduate Theological Foundation. The New Testament is the second part of the Christian biblical canon, the first part being the Old Testament, based on the Hebrew Bible. 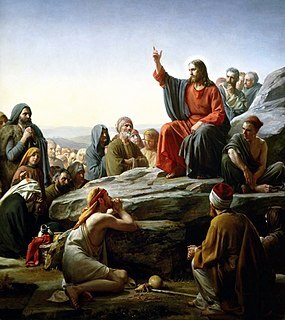 The New Testament discusses the teachings and person of Jesus, as well as events in first-century Christianity. Christians regard both the Old and New Testaments together as sacred scripture. The New Testament has frequently accompanied the spread of Christianity around the world. It reflects and serves as a source for Christian theology and morality. Extended readings and phrases directly from the New Testament are incorporated into the various Christian liturgies. The New Testament has influenced religious, philosophical, and political movements in Christendom and left an indelible mark on literature, art, and music. Uppsala University is a research university in Uppsala, Sweden, and is the oldest university in Sweden and all of the Nordic countries still in operation, founded in 1477. It ranks among the world's 100 best universities in several high-profile international rankings. The university uses "Gratiae veritas naturae" as its motto and embraces natural sciences. Harvard Divinity School is one of the constituent schools of Harvard University, located in Cambridge, Massachusetts, United States. As of June 2015, the school's mission is to train and educate its students either in the academic study of religion, or for the practice of a religious ministry or other public service vocation. It also caters to students from other Harvard schools that are interested in the former field. 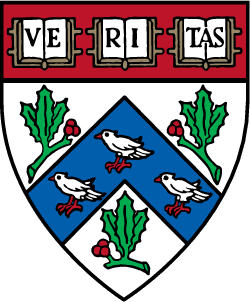 Harvard Divinity School is among a small group of university-based, non-denominational divinity schools in the United States (the others include the University of Chicago Divinity School, Yale Divinity School, Vanderbilt University Divinity School, Wake Forest University School of Divinity, and Claremont Graduate University-School of Religion. Through his interest in the Jewish context of the New Testament, Stendahl developed an interest in Jewish Studies and was active in Jewish–Christian dialogue. Christian−Jewish reconciliation refers to the efforts that are being made to improve understanding and acceptance between Christians and Jews. There has been significant progress in reconciliation in recent years, in particular by the Catholic Church, but also by other Christian groups. When you are trying to understand another religion, you should ask the adherents of that religion and not its enemies. Don't compare your best to their worst. 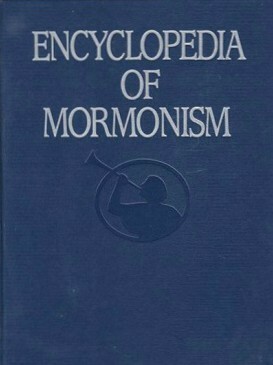 The Encyclopedia of Mormonism is a semiofficial encyclopedia for topics relevant to The Church of Jesus Christ of Latter-day Saints. The text is available free online. He died six days before his 87th birthday. Stendahl, Krister. The school of St. Matthew, and its use of the Old Testament. Uppsala: C. W. K. Gleerup, Lund, 1954; 2nd ed. 1968. Stendahl, Krister. The Bible and the Role of Women. Fortress Press, 1966. Stephen Westerholm: "For Paul, the question that “justification by faith” was intended to answer was, “On what terms can Gentiles gain entrance to the people of God?” Bent on denying any suggestion that Gentiles must become Jews and keep the Jewish law, he answered, “By faith—and not by works of the (Jewish) law.”"  Westerholm refers to: Krister Stendahl, The Apostle Paul and the Introspective Conscience of the West, Harvard Theological Review 56 (1963), 199–215; reprinted in Stendahl, Paul Among Jews and Gentiles and Other Essays (Philadelphia: Fortress, 1976), 78–96. Acts of the Apostles, often referred to simply as Acts, or formally the Book of Acts, is the fifth book of the New Testament; it tells of the founding of the Christian church and the spread of its message to the Roman Empire. Paul the Apostle, commonly known as Saint Paul and also known by his Jewish name Saul of Tarsus, was an apostle who taught the gospel of Christ to the first-century world. Paul is generally considered one of the most important figures of the Apostolic Age and in the mid-30s to the mid-50s AD he founded several churches in Asia Minor and Europe. 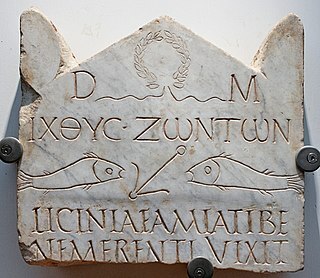 He took advantage of his status as both a Jew and a Roman citizen to minister to both Jewish and Roman audiences. Pauline Christianity or Pauline theology is the theology and Christianity which developed from the beliefs and doctrines espoused by Paul the Apostle through his writings. Paul's beliefs were strongly rooted in the earliest Jewish Christianity, but deviated from some of this Jewish Christianity in their emphasis on inclusion of the gentiles into God's New Covenant, and his rejection of circumcision as an unnecessary token of upholding the Law. The Council of Jerusalem or Apostolic Council was held in Jerusalem around AD 50. It is unique among the ancient pre-ecumenical councils in that it is considered by Catholics and Orthodox to be a prototype and forerunner of the later ecumenical councils and a key part of Christian ethics. The council decided that Gentile converts to Christianity were not obligated to keep most of the Law of Moses, including the rules concerning circumcision of males. The Council did, however, retain the prohibitions on eating blood, meat containing blood, and meat of animals not properly slain, and on fornication and idolatry, sometimes referred to as the Apostolic Decree or Jerusalem Quadrilateral. In Christianity, the Apostolic Age is the period from the death of Jesus until the death of the last of the Twelve Apostles. It holds special significance in Christian tradition as the age of the direct apostles of Jesus. 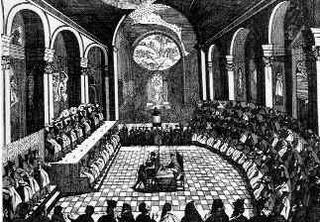 Early Christianity covers the period from its origins until the First Council of Nicaea (325). This period is typically divided into the Apostolic Age and the Ante-Nicene Period. Nicholas Thomas Wright ) is an English New Testament scholar, Pauline theologian, and retired Anglican bishop. Between 2003 and 2010, he was the Bishop of Durham. He then became Research Professor of New Testament and Early Christianity at St Mary's College in the University of St Andrews in Scotland. The "New Perspective on Paul" represents a significant shift since the 1970s in the understanding of the writings of the Apostle Paul, due to E. P. Sanders' pioneering 1977 work Paul and Palestinian Judaism. 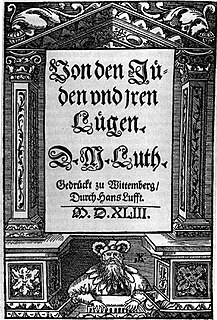 On the Jews and Their Lies is a 65,000-word antisemitic treatise written in 1543 by the German Reformation leader Martin Luther. Dual-covenant or two-covenant theology is a school of thought in Christianity regarding the relevance of the Hebrew Bible, which Christians call the Old Testament. Criticism of Judaism refers to criticism of Jewish religious doctrines, texts, laws and practices. Early criticism originated in inter-faith polemics between Christianity and Judaism. Important disputations in the Middle Ages gave rise to widely publicized criticisms. Modern criticisms also reflect the inter-branch Jewish schisms between Orthodox Judaism, Conservative Judaism, and Reform Judaism. The Mosaic covenant or Law of Moses – which Christians generally call the "Old Covenant" – has played an important role in the origins of Christianity and has occasioned serious dispute and controversy since the beginnings of Christianity: note for example Jesus' teaching of the Law during his Sermon on the Mount and the circumcision controversy in early Christianity. The history of early Christianity covers the Apostolic Age and the Ante-Nicene Period (c.100-325), to the First Council of Nicaea in 325. Birger A. Pearson is an American scholar and professor studying early Christianity and Gnosticism. He currently holds the positions of Professor Emeritus of Religious Studies at the University of California, Santa Barbara and Professor and Interim Director of the Religious Studies Program at the University of California, Berkeley. Jon Douglas Levenson is an American Hebrew Bible scholar who is the Albert A. List Professor of Jewish Studies at the Harvard Divinity School. Paul the Apostle has been placed within Second Temple Judaism by recent scholarship since the 1970's. A main point of departure with older scholarship is the understanding of Second Temple Judaism, and the covenant with God and the role of works, as a means to either gain, or to keep the covenant. Christianity in the 1st century deals with the formative years of the Early Christian community. The earliest followers of Jesus were composed principally from apocalyptic Jewish sects during the late Second Temple period of the 1st century. They were Jewish Christians, who strictly adhered to the Jewish law. Jerusalem had an early Christian community, which was led by James the Just, Peter, and John. Paul's theology centers on a participation in Christ, in which one partakes in salvation by dying and rising with. While this theology was interpreted as mysticism by Albert Schweitzer, according to the New Perspective on Paul, as initiated by E.P. Sanders, it is more aptly viewed as a salvation theology. Alf Thomas Kraabel was an American classics scholar and educator who worked extensively in Greek and Hellenistic Judaic studies. He served as a faculty member in the classics department at the University of Minnesota from 1963 to 1983, and served as the Dean of Luther College in Iowa before retiring in 2000. Gale A. Yee is a Chinese American scholar of the Hebrew Bible. Her primary emphases are postcolonial criticism, ideological criticism, and cultural criticism. She applies feminist frameworks to biblical texts. She has written frequently on biblical interpretation from an Asian-American perspective. ↑ The Harvard Theological Review, Vol. 56, No. 3 (Jul., 1963), pp. 199-215. 1 2 Dunn 1982, p. n.49. ↑ Finlan 2001, p. 2. ↑ Krister Stendahl, Paul among Jews and Gentiles Philadelphia: Fortress Press, 1976. ↑ Stendahl, Krister (1992). "Baptism for the Dead: Ancient Sources". In Ludlow, Daniel H. Encyclopedia of Mormonism . New York: Macmillan Publishing. p. 97. ISBN 0-02-879602-0. OCLC 24502140. .
A taped address to the Annual Assembly of the Massachusetts Council of Churches, December 9, 1972 is in the Andover-Harvard Theological Library at Harvard Divinity School in Cambridge, Massachusetts.